Mobile phone, the most common gadget in the present era, is considered as the greatest gift to the mankind. Can you ever imagine life without this device? No wonder the mobile phone has become an indispensable part of our lives. Of course, the origin of this gadget is as interesting as its use. Starting from bulky devices that were as long and heavy as oneâ€™s forearms to ultra thin and techno savvy handsets, the mobile phones have certainly covered a long way so far. Â Well, any idea on who invented the mobile phone and how it was invented? To get the answers to such questions, we need to travel back more than a century! Â Obviously, it all started with the basic telephony. 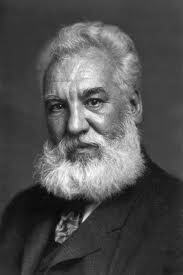 In 1876, Alexander Graham Bell was the first one to patent telephone. The telephone technology was perhaps developed using the equipment that was actually designed for telegraph. Those were the days when calls were connected with the help of designated operators. Â The first pillar of the mobile telephony propped up when Charles Stevenson invented radio communication in the early 1890s for communication with the offshore lighthouses. Following that, Marconi was able to transmit signals over a distance of 2 km in the year 1894.
first ever wireless telephone call by being the first to transmit human voice through radio wavesÂ by sending a signal from one radio tower to another!! This paved way for broadcast radio; however, indisputably, it also provided a strong foundation for the concept of mobile phones and networks. In 1906, Fessenden broadcasted music through radio. Â Though the mobile phone may be seen as a new technology these days, the idea was actuallyÂ firstÂ conceivedÂ in the year 1908; it is said so because the mobile phone is actually a high-tech radio.Â In 1908, a man named Nathan B. Stubblefield who lived in Murray, Kentucky applied for the U.S.Â PatentÂ 887,357Â for a wireless telephone; heÂ actually applied his patent to only radio telephones. However, by doing this, he only meant to create a telephone that could operate with strings. Â It was in 1926 that the first class passenger trains that connected Berlin and Hamburg used the radio telephone technology for the first time. These radio telephones were also used in passenger airplanes as well as for air traffic safety. Besides, German tanks made enormous use of these devices during the Second World War. Â Two way radios was certainly an ancestor of the mobile phones. These radios were also known as mobile rigs and were fixed on police cruisers, taxicabs, and ambulances before the invention of the handheld mobile phones. As the mobile radios were connected to the telephone network, one could not dial these from homo phones. Gradually, this technology gained immense popularity amidst the mobile radio users. Â New versions of these radio phones had incorporated cigarette lighter plugs and these were known as bag phones. These gadgets were fixed in vehicles and were used as portable two way radios or mobile phones. Â In the 1940s, Motorola came up with new developments in the two way radios and as a result, the walkie talkie was born. Being large, bulky and battery operated, this device soon found its way to the US military. Â A major breakthrough in the history of mobile phones came when the base station for mobile phones came into existence. In 1947, engineers from Bell Laboratories, which was part of AT&T at that time, developed the base stations for mobile phones. The same year, William Rae Young and Douglas H. Ring developed hexagonal cells for these mobile phones. But an engineer, Porter from Bell Labs, suggested positioning of the cell towers at corners of hexagons instead of the centre. He also argued for the directional antennas for transmitting or receiving the signals in the three directions, that is, into the adjacent hexagon cells. Â The design proposed allowed for low-power transmitters to carry calls across the network. Besides, it accounted for handoffs, which is when a caller moves from the radius of one tower’s broadcast to another. However, despite the theory being sound, the technology to make it happen was lacking. It was estimated that it would take more than 10 years for the next development! Â As the world was waiting eagerly for further developments in mobile phone technology, companies like AT&T provided a few customers the chance to use the radio telephones. Only a few calls could be made on the system at a time; callers had to wait for another conversation to get over before completing a call and a major drawback was that private conversations were impossible. Besides, the phones were too expensive and weighed up to 80 pounds!! Definitely, not a device to carry around in your pocket! Â In the year 1956, Ericsson Company managed to release the earliest completely automatic cellular phone system called the MTA in Sweden. This device was operated automatically; however, due to its weight, it failed to hold the interest of the users for long. Well, naturally oneÂ wouldn’tÂ be interested – it weighed 40 Kg!! Later in 1965, an improved and a lighter version of the same phone was introduced. This was known as MTB and it used DTMFÂ signalling. Â Leonid Kupriyanovich, a Russian engineer, developed an experimental model of wearable mobile phones in Moscow in the year 1957. These devices operated with the help of a base station. Â Kupriyanovich had earlier developed LK-1, a radio phone. The battery life of the wearable mobile phone invented lasted for nearly 20-30 hours.Â It weighed around 3 kg and worked within a distance of 20 to 30 km from the base station. In the same year, the young engineer patented the mobile phones and came up with a version of a pocket mobile phone that weighed just 0.5 Kg. Â In 1966, an automatic pocket mobile phone called RAT-0.5 was developed in Bulgaria. 1967 witnessed further developments in the field of cellular phones. It was then decided that every cellular phone would be catered to a base station throughout its life. Later in 1970, another engineer named Ames E. Joel invented automatically operated callÂ hand-offÂ technology. This allowed the mobile phones to pass through cell areas while making a call without any loss of conversation. This was probably the first time when a mobile user was able to use the device without any disturbance. Â In the 1960s, Bell Labs developed the technology that could support the design of a cellular network proposed by Young. However, AT&T sought permission from the Federal Communications Commission, the FCC, to develop a cellular network in 1971. As these two were trying to win the race, a competitor made a bold and cheeky move in 1973! Â That competitor was Martin Cooper who was an executive with Motorola. Cooper led a team that designed the first practical cell phone, resembling the one that we use today. It was known as the Motorola DynaTAC, and it still wasn’t a small device: it was 9 inches long, 5 inches wide, weighed 2.5 pounds and carried around 30 circuit boards in it. With recharge time of around 10 hours, talk time of 35 minutes, this mobile phone gave a comfortable talking experience to its users. One could dial, listen and talk on this mobile phone; however, one thing was missing â€“ the display screen!! Cooper decided to make the first cellular telephone call to professional rival Joel Engel at Bell Labs. Youâ€™re right – the first mobile phone was involved in what a few might call a prank call! Â As days passed, more and more refinements were made and mobile phones improved by leaps and bounds. With the introduction of the Global System for mobile communications, radio spectrum could be used effectively. The technology provided good voice quality and international roaming facilities combined with compatibility with ISDN systems. Furthermore, for providing coverage to the remote areas that ISDN, GSM and cellular phones could not offer, satellite phones were introduced. The base station for the satellite phones were built in the geostationary satellites. And now, there is no place on the planet that is untouched by the mobile phones. Â Overall, the mobile phone is a highlyÂ sophisticatedÂ radio and if it were not for the constant efforts and advancements for over a century, this technology would not exist. 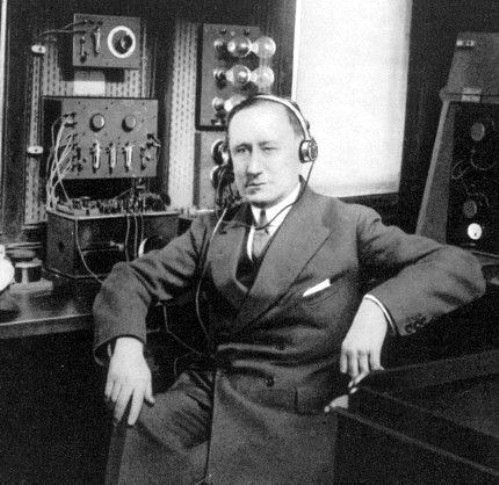 It’s a simply superb artical…….It’s very usefull to me…..
there is a mistake: the man in the photograph “Reginald Fessenden” is Guglielmo Marconi. very nice article ! hats of to d people whose efforts made todays life easy. thanks to all contributors.